Kate Middleton did her own makeup for her Big Day. Would you? Tips for the DIY-makeup bride. 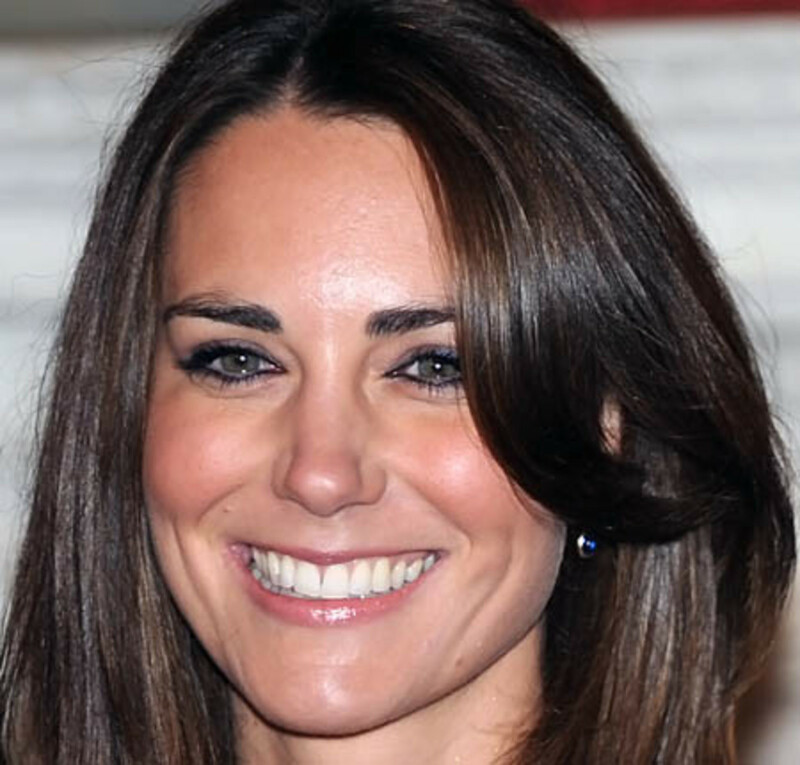 Kate Middleton&apos;s wedding-day makeup didn&apos;t stray much from her everyday look (below). The new Duchess of Cambridge elected to be her own artist. The bride&apos;s skin is flawless, her cheeks appealingly rosy, her smile beautifully white. She&apos;s filled in her brows a bit more, but her eye makeup is her usual taupe shadow and dark liner. Okay, Kate could have softened that lower lash line a bit to avoid making her eyes look smaller, but really, big deal. She looks lovely, and more importantly, like herself. That&apos;s a good thing on a fairytale day where everything seems so over-the-top and unreal, right? 1) Make sure your skin&apos;s in top shape. We&apos;re talking facials, whether traditional spa, microdermabrasion, chemical peel or Intraceuticals. The better your skin, the less makeup you need. 2) Make sure your teeth are white. The more contrast between your teeth and skin, the brighter your skin looks and the less makeup you need. 3) Use a primer to help your makeup glide on and stay where you put it. An illuminating type, such as CoverFx BrightPrep FX adds a luminosity that, once you put on your foundation, looks like it comes from within. 4) Concealer&apos;s important -- most brides are sleep deprived. *sigh* Go with a high pigment formula so you&apos;ll have to use only a little. I keep coming back to Cover FX Conceal FX because it makes the darkest circles just disappear. Just keep in mind it works best on bare skin. I usually apply concealer after foundation, but with this one, I apply the concealer first and blend foundation around it carefully. 5) A good complexion like Kate&apos;s looks incredible with a medium-coverage foundation such as MAC Studio Sculpt, which makes skin look perfect without looking like it&apos;s made up. I used it for a wedding a couple of weeks back; oh. my. goodness. A light dusting of M.A.C Mineralize SkinFinish/Natural powder sets everything in place with a velvety finish. 6) Waterproof mascara -- duh! I love tube-technology types for their steadfastness and easy-off removal at the end of the day. Try Lise Watier 24hrs Glam. 7) Rosy cheeks are a bridal must, if you ask me. You&apos;ll likely have a natural flush of excitement and happiness anyway; go with it! Keep colour-choice easy by choosing a formula such as Stila Custom Color Blush that adjusts in response to your skin chemistry. 8) Sweet pink or watermelon gloss is always so pretty. It doesn&apos;t look obvious as it fades, and touch ups don&apos;t require much precision so they can be done quickly and on-the-go. You can use your usual shade, or pick up a similar colour in a splurge-y package -- YSL VoluptÃ© Sheer Candy, anyone? (Pardon my obsession, but it&apos;s special, and the packaging is brilliantly bridal perfect). 9) Keep a translucent pressed powder handy if you need a bit of shine control. Two trusty, no-fuss types that do not show up in flash photography: CoverFX Matte FX and M.A.C Blot Powder Pressed. Just remember to blot excess oil before adding powder. Although completely non-glamorous, these are my favourite blotters. For her manicure Kate went for simple and classic as well. NO not the dreaded French manicure! Instead she had a pale blend of Bourjois Paris So Laque Ultra Shine in NÂº 28 Rose Lounge and Essie 423 Allure, applied by her manicurist, Marina Scandoval of the Jo Hansford salon in Mayfair. Want to style your hair like Kate&apos;s? BellaSugar&apos;s got a how-to -- as well as the photo I used at the top. I like that Kate did her own makeup. I don&apos;t think I&apos;d do my own, though. Is that weird? Would you do your own?